Many agricultural technologies are being developed. Combined they can transform the linear & analog farming processes to digital & exponential change, disrupting the unsustainable food system and realizing local food economies. For the last 5+ years I have been learning more about how innovations can be fostered to solve some of the biggest challenges of mankind, like the complex transition to a more sustainable world, for instance in relation to food. I have had a long slumbering interest in topics like vertical and rooftop farming. A few years ago, I made a bachelor’s thesis and infographic about the exponential organisations model for vertical indoor farms. Or ‘plant factories with artificial lighting’, as some people like to call it. During that research, I learned a thing or two about the unsustainable industrial agricultural system, the promise of indoor, climate-controlled farming, local food economies, and the exponential mindset. However, my current fiery interest in agricultural innovation, wasn’t triggered until a few things clicked in my mind by watching some inspiring talks of speakers at Singularity University Summits. In this blog, I want to share these insights and thoughts. It is noteworthy to share that for my master’s thesis, I’m spending almost a year learning about the collaborative partnerships in the emerging urban agriculture industry. 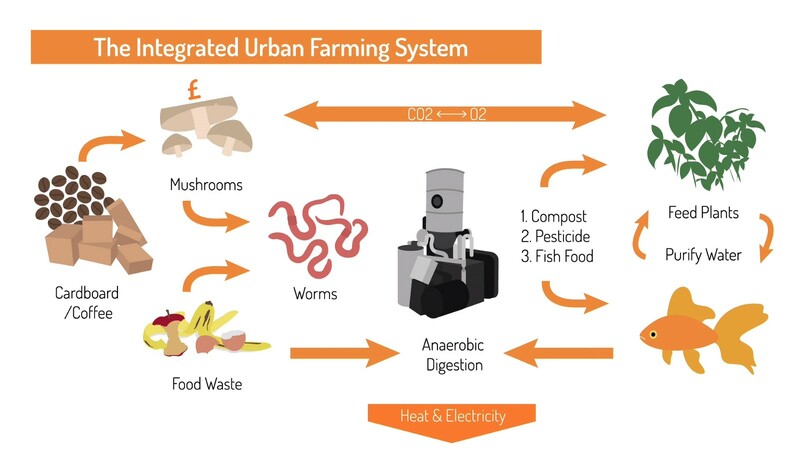 This way of agriculture allows the feeding function to be brought back to cities in local food systems. Current urban farming practices may utilize a variety of agricultural techniques, such as soil-based, aquaponics, hydroponics, or aeroponics growing methods. This can be executed in a wide range of locations and applications, such as rooftop gardens and greenhouses, edible green walls, and indoor vertical farming in vacant buildings and underground bunkers, shipping containers, or mini-farms in homes. Urban farms have arguably many benefits, yet also a few challenges to overcome, notably the cost and amount of energy required for the LED lights and the multi-disciplinary character of the ventures. (semi-)commercial ZFarming: Zero-acreage farming (agriculture utilizing existing urban infrastructure) initiatives with an (in)direct market orientation and a focus on producing sustainable food (see Specht et al.). Market niche: A protected space in which sustainable technologies can be developed and find their first commercial application (see literature about Strategic Niche Management). 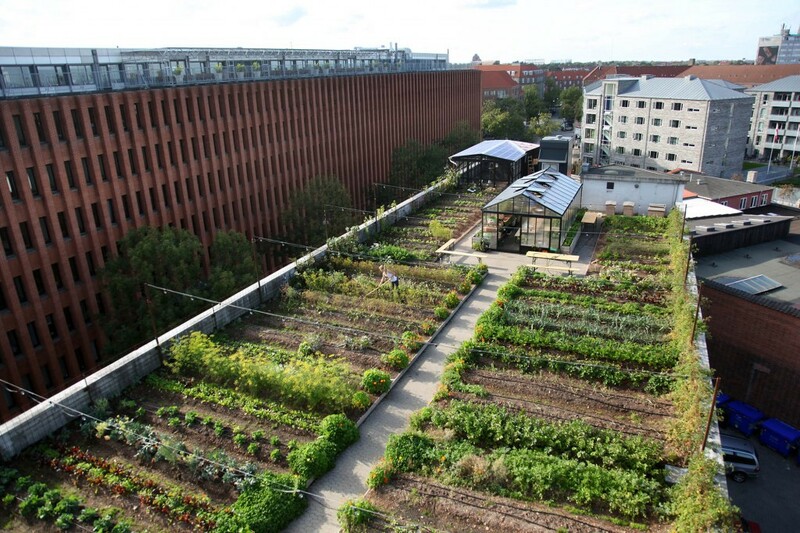 My thesis proposal might contain some interesting images of models and academic frameworks to analyse and think about the innovation of urban farming via the strategic niche management perspective. The proposal presentation is also available. This is my current semi-commercial urban farming actor map of Denmark’s Copenhagen Metropolitan Area. This is the latest version of the urban farming innovation ecosystem in the Netherlands. Exponential thinking is key to understanding the fast developments we can observe in (sustainable) technologies and the impact on society. I have always struggled to clearly explain this way of thinking to others, because exponential change is so counter-intuitive, yet impacts all aspects of society. 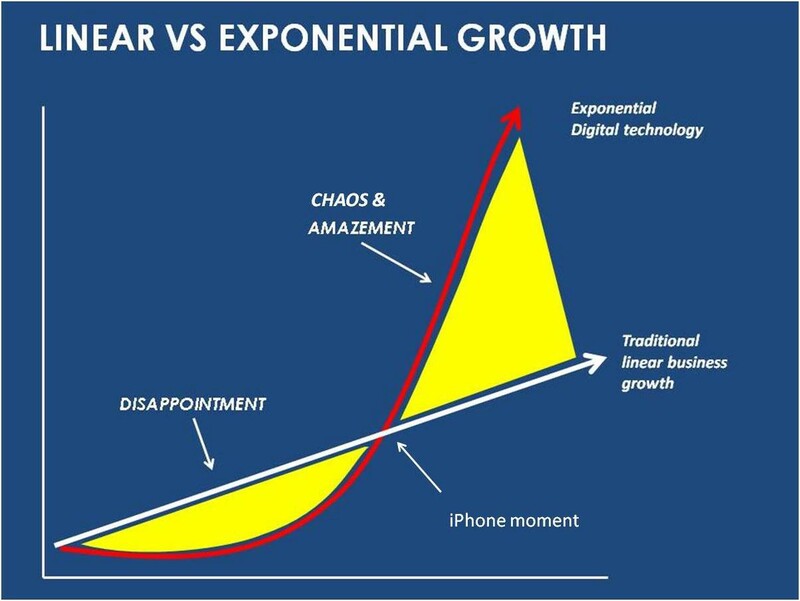 This talk by Pascal Finette about ‘The future is exponential’, is an excellent primer for exponential thinking -which I believe is essential to understand and utilize technologies to bring about innovation and change in society. Key message for future of food: transforming analog farming processes into digital processes is where the most potential exists for exponential growth. community supported agriculture, knowledge sharing and network formation. Notable examples. 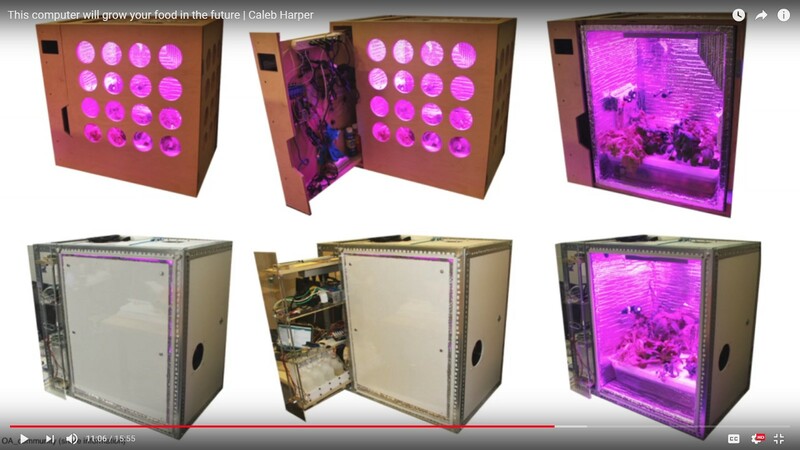 The Open Agriculture Initiative and its connected Open Phenome Library as well as their ‘food computer’, essentially a data-driven, climate-controlled growing box for plants by which the actual nutritional value of the food can be determined. These plant factories can be any size; from a small box in the kitchen, to networks of shipping containers growing food in vertical planes such as Kimbel Musk is aiming for with Square Roots. That’s right, the brother of Elon Musk wants to disrupt the food industry. Other initiatives, like the Open Source Ecology project is making farming machinery open source and low cost. This talk also gives some cool insights, trends and opportunities about precision farming and new food paradigms (watch 14:00–21:00 min for the part about food, I’d skip through the in-vitro meat / beef stuff though). Lastly, searching YouTube for Future of Food or Future of Farming, brings about some really interesting and inspiring videos. I can 3D print, buy or rent a modular (mini)farm system (eg FarmBot, a shipping container, greenhouse, or kitchen appliance). I can use this system or certain sensor tools to grow or print food on both a large and small scale; on vacant urban infrastructure, outdoor (rooftop) gardens, greenhouses, balconies, garden walls, or a device in your home. I simply click a plant profile in an app on my phone (eg download the phenome file of the food you want to grow), and the farm-system helps me to optimize the conditions such as temperature, nutrients, watering, soil conditions, etc. It also knows about the other crops in the area, and provides information and advise about proper plant combinations and crop rotation. The added intelligence (AI) can be completely automatic or just serve as an assistant, providing data, notifications and reminders. I can choose which farming processes are automated and monitored. It can also give information to make the farming system more circular, eg by using bio-waste for soil enrichment. Basically, growing food has become a real-time plant tamagotchi game. There are more people buying, building, 3D printing and taking care of farming systems to grow food, which results in numerous communities and networks of (urban) farmers and makers. Since many of these farming systems are connected and sharing data about individual plants, growing conditions, and the edible products, a blockchain-based supply chain emerges. Or, as the EU calls it, the ‘Internet of Food’. On a smaller scale, within one food system, the intimate chemical relationships between plants that grow together can be measured and observed. Since individual plants are connected to the internet, some kind of Facebook for plants is not unimaginable. The various exponential technologies that are popping up (such as nanotech, biotech, synthetic biology, robotics, AI & data processing, 3D printing, blockchain, cloud computing, and the internet of things) are converging into applications for all industries because they are complementary to each other. In the case of agricultural technology, the following underlying innovations and trends can be combined in some form to disrupt the current unsustainable industrial food system. Data, sensors, IoT, and cloud computing: plant’s real-time vitals and nutritional values, climate control and phenome data, DNA identities, quantified-self consumer profiles and personalized nutrition, internet of food, blockchain-based supply chains, 5G mobile internet. Robotics and AI: data-analysis, climate control and plant optimization via algorithms, automated farm bots such as drones, self-driving tractors, and precise seeding and harvest machinery. Biotech, nanotech, and synthetic biology: in-vitro meat, plant-based protein, lab grown food, GMO food, digital biology, programming and printing DNA, individual atoms, cells and molecules. User-generated innovation: digital platforms (health, food, veggie gardening, and farming apps) and physical spaces (community supported agriculture, farm tours, farming maker spaces, agricultural incubators) where people come together to learn from each other, share knowledge, verify information, and collaborate to push the sustainable food transition forward. Many organizations are working in wildly varying disciplines to achieve a more sustainable food system. These technologies are feeding off each other and are inevitably going to be combined to radically change the agricultural landscape. 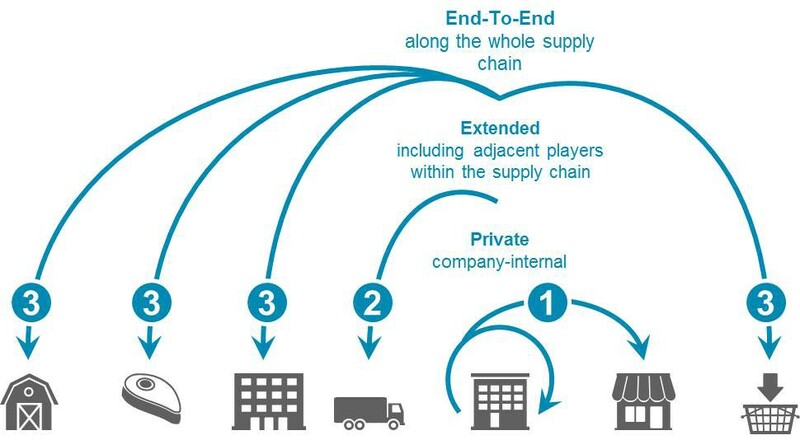 Learning more about these trends is important because they can be combined and applied in ZFarming operations, expanding the innovation ecosystem with more network actors. 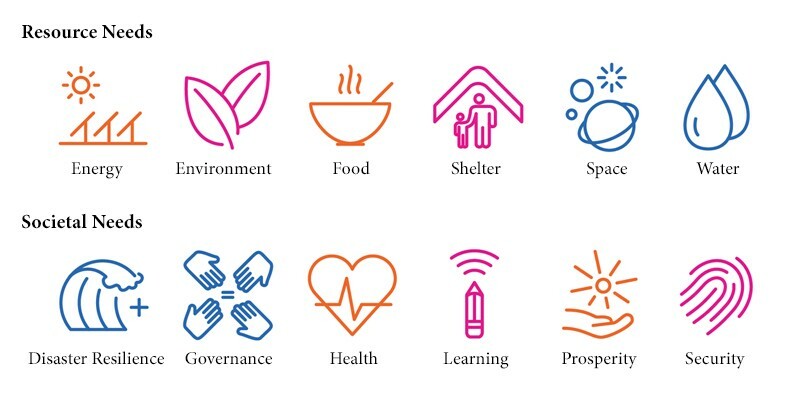 The Grand Global Challenges, which ones are you working on? Menno van Ginkel has been studying innovation and exponential technologies since the early 2010s. 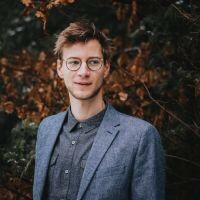 As a master student of Sustainable Business and Innovation at Utrecht University, he is now focused on sustainable food, decentralized networks and blockchain technology. Have I forgotten trends, cool interesting start-ups, or developments? Or do you have identified flaws or bias in my story and reasoning? Please let me know, I’m open for discussion, feedback and critique.